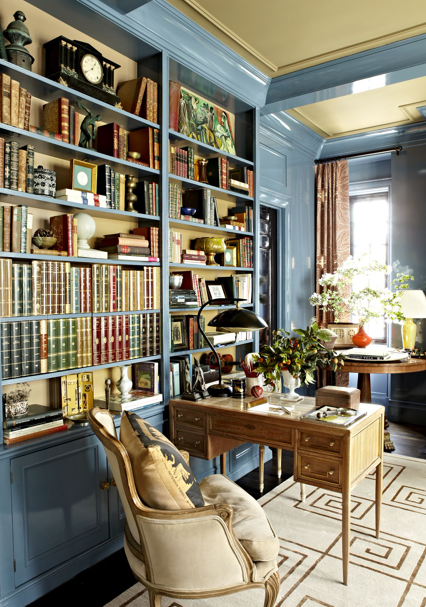 Library & Home Study Design. 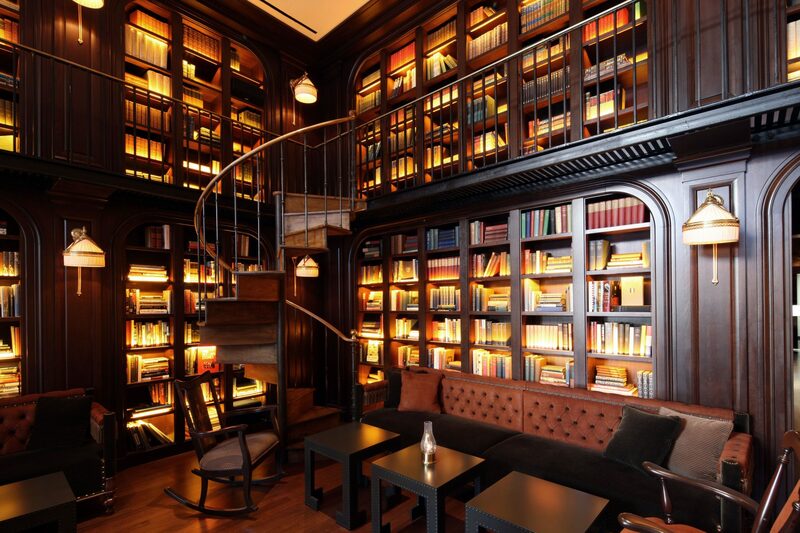 Specially commissioned library & study projects are featured in this collection. 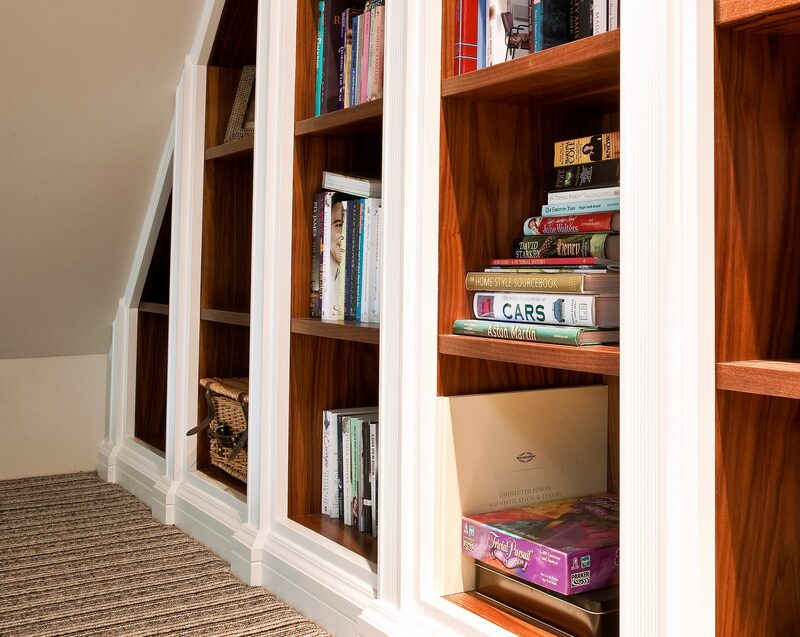 We are committed to true handcraftsmanship & bespoke carpentry, using timbers, steel, veneers and engineered woods. 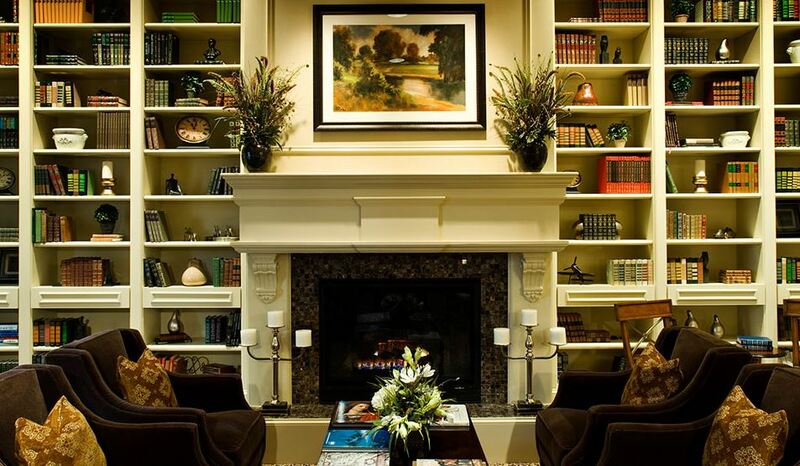 Choose from our furniture & décor finishing to complement your project. 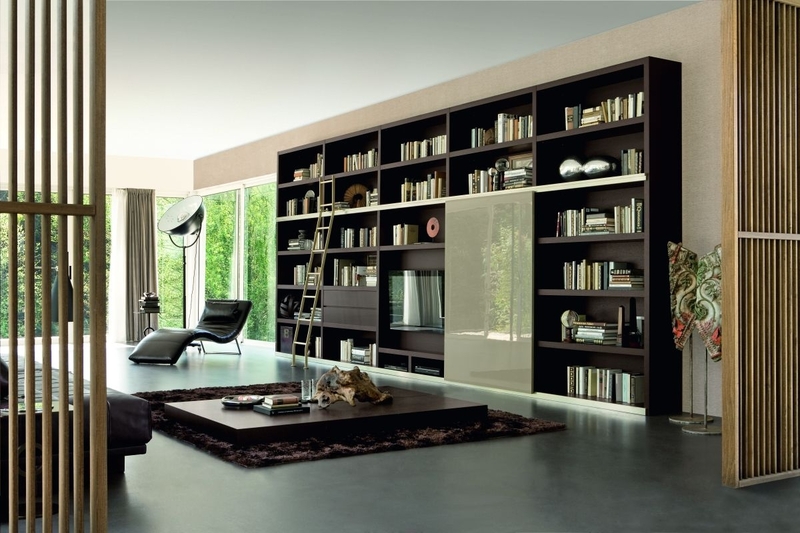 Black Panel Library & Home Study With Light Feature In Black Hanging Iron Or Steel. 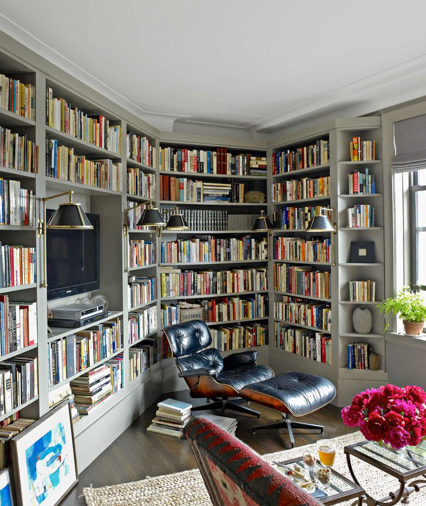 Apartment Corner Feature Library Design. Book Library & Stairs & Balcony Fabrication. 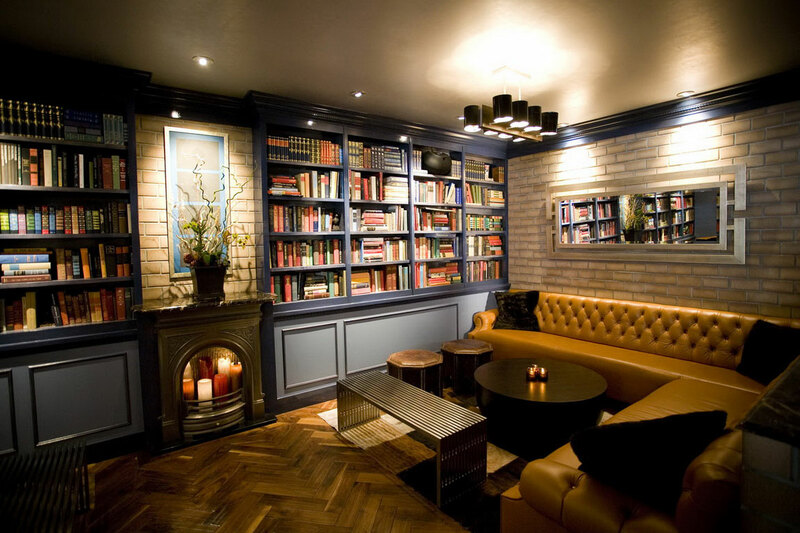 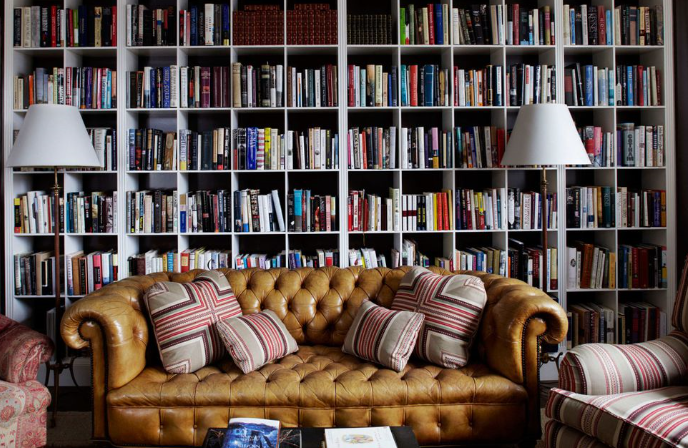 Small Space Home Library Design With Parquet Wooden Floor & Mustard Leather. 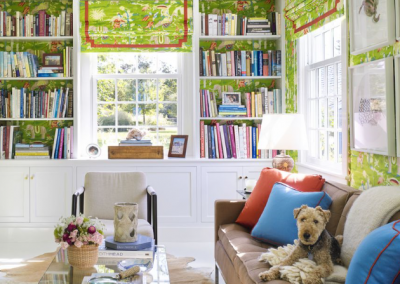 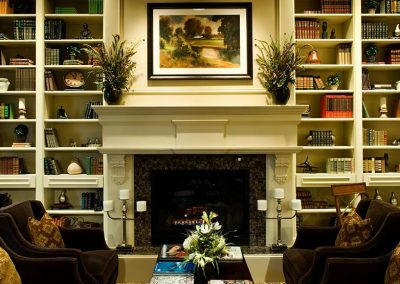 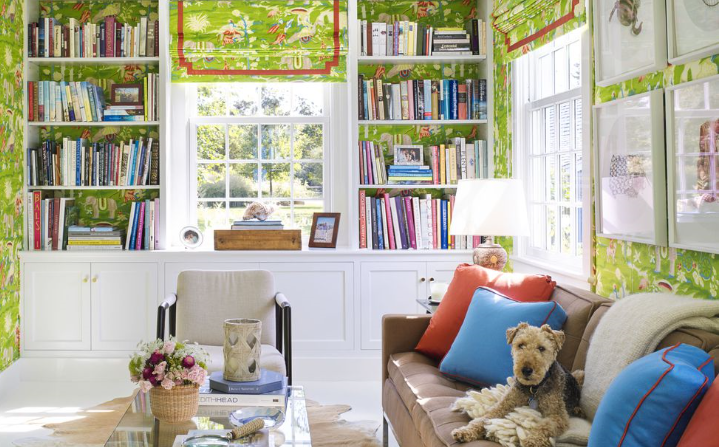 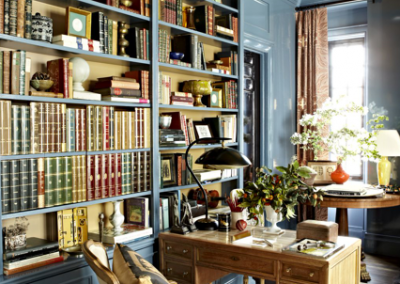 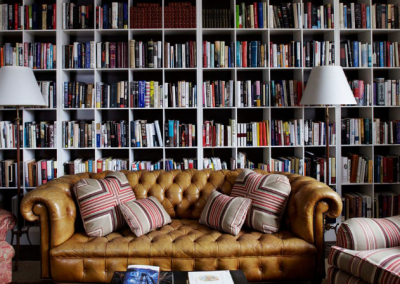 Traditional Library & Classic Study Furnishing. 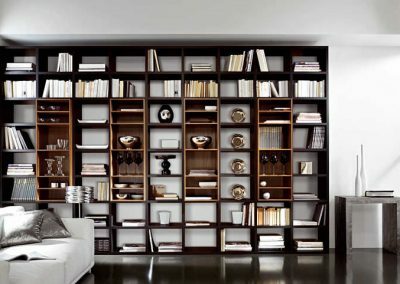 Easy Study With Storage In White. 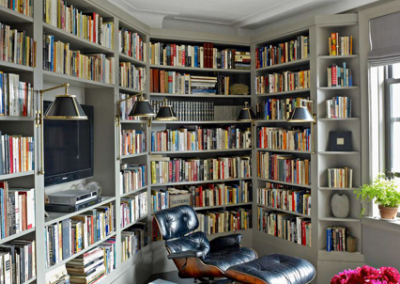 Modern Home library In Dark Timber Of Choice. 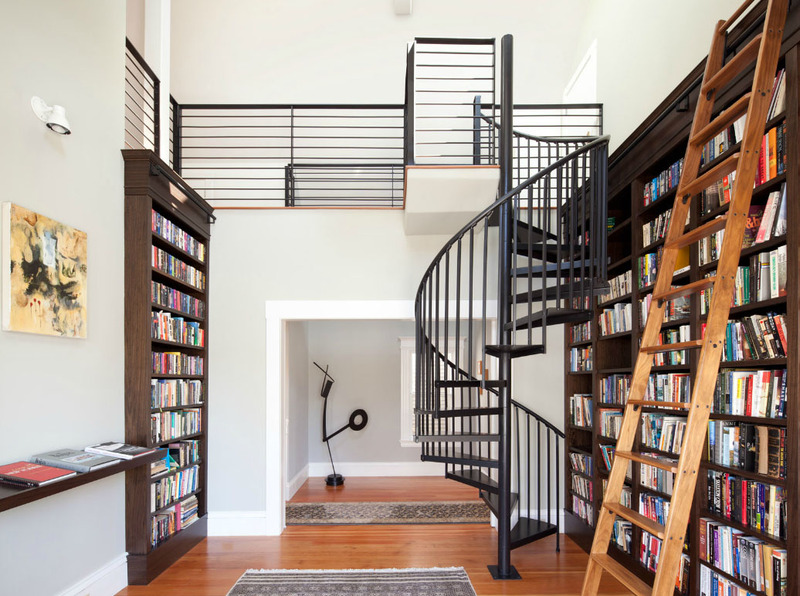 Bespoke Library & Staircase Project. 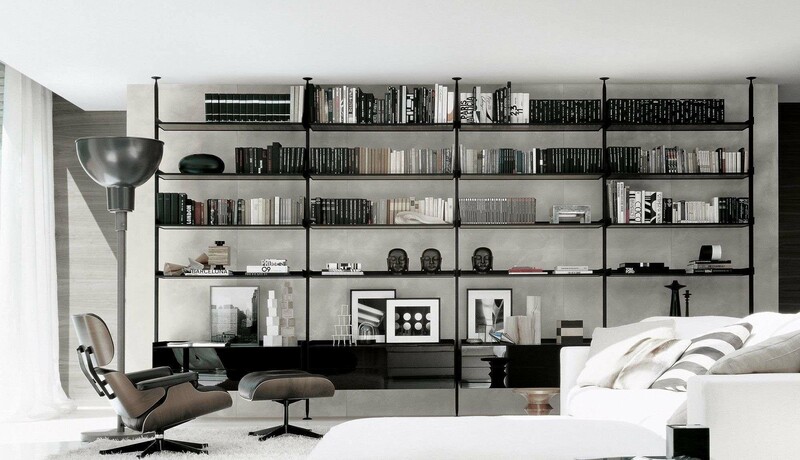 Modern Timber Book Storage Commission. 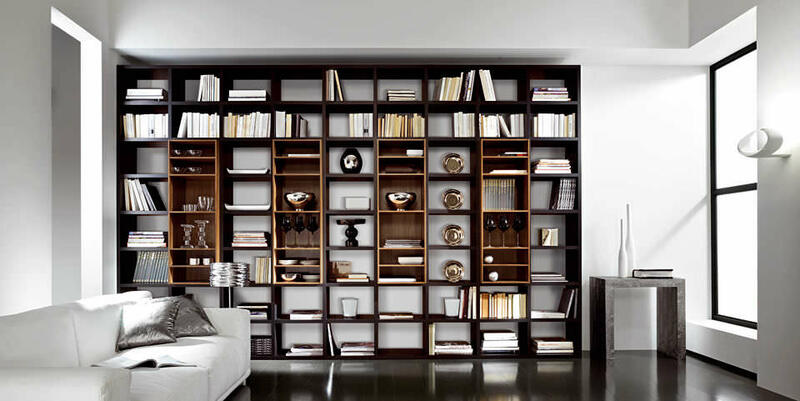 Two Style Stacking Feature Book Case & Library Design. 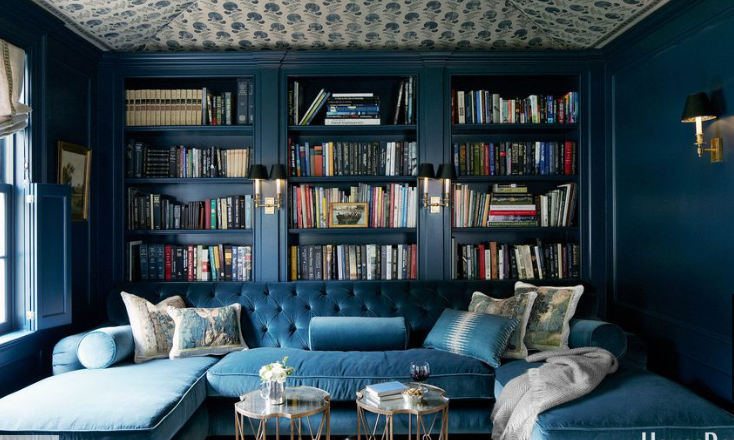 Contemporary Library & Lounge Commission. 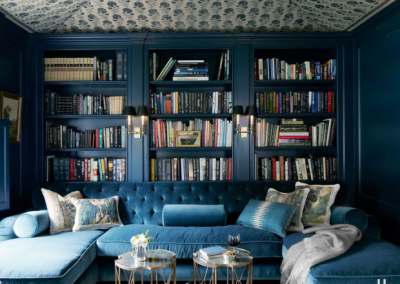 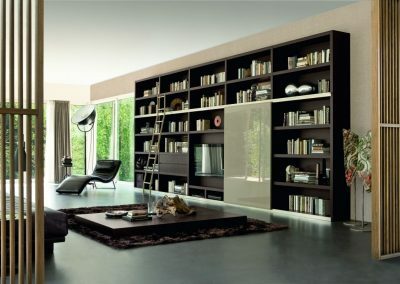 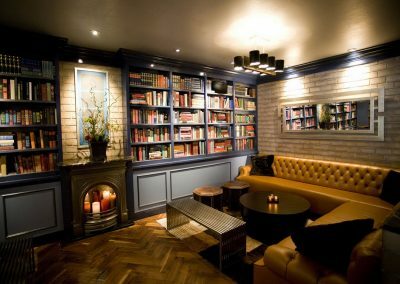 Black Steel Unique Home Library Design. 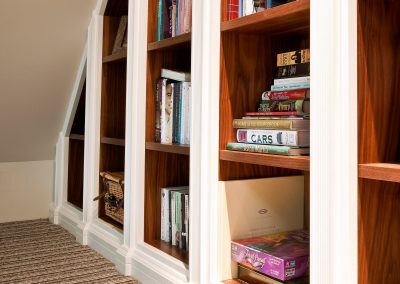 Bespoke Sloping Wall Walnut & White Book Case Storage.